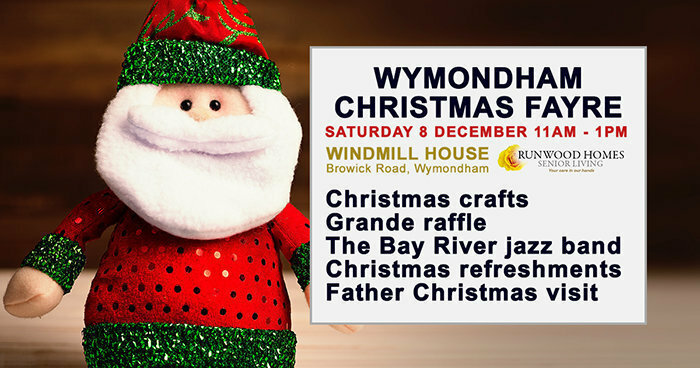 Wymondham Christmas Fayre at Windmill House on Saturday 8 December. Windmill House residential care home in Browick Road, Wymondham, are hosting a Grande Community Christmas Fayre on Saturday 8 December from 11am and a very special, red-suited guest will be joining us and we hope you can come along too! See our lovely Christmas lights and decorations, fun Christmas jumpers (feel free to wear yours! ), enjoy some festive treats, and join us to get into the Christmas spirit at our Norfolk Christmas event! Windmill House is a beautiful residential setting providing expert care for older people, including those living with dementia. Visit us at any time to take a tour of our home, chat with our residents and meet our kind and friendly care team. Read more about Windmill House by clicking here.